Fully qualified Electricians in Kent and London Emergency call outs Inspection, testing and electrical reports Fault finding Fuse board renewals / repairs Electrical alterations / additions Outdoor electrics Lighting installations Give us a call and we will be happy to provide a quote for your requirements. Here at The Paul Page Golf Academy it is so important to us that you feel comfortable and welcome at our family-run club. With exclusive membership benefits and events for you to join in, you can really feel like you belong. We believe golfing need not be expensive. Become a member and choose to be part of a new sporting, social network, or take time for yourself in beautiful, quiet surroundings on your doorstep! Dartford Council Deputy Leader Chris Shippam has unveiled a plaque to mark the start of work on a brand new community clubhouse and home for Dartford Valley Rugby Club at Stone Lodge. more involved in leisure and sporting activities. But these kind of facilities really benefit the whole community, when people and local organisations adopt them as venues for celebrations, parties and meetings, and that’s when they truly become of value for everybody. Rugby has the The project includes a new clubhouse and social centre potential to involve and engage huge numbers of families for the local community alongside a flood lit 3G rugby and I’m very proud to be bringing that to the heart of the pitch and a second grass pitch to provide a permanent Stone community.” home to the growing number of teams at the hugely popular Dartford Valley Rugby Club. Peter Timon, Dartford Valley Rugby Club Chairman said, “The progress is fantastic. Dartford Borough Council is The sustainable 880 sq.m clubhouse sits in a fully clearly committed to providing top quality family-friendly landscaped environment and will enable the club to build facilities for the town and supporting our growth as a on its superb reputation for work with young people and local club means we can do so much more to help this communities. When the community clubhouse opens this community. The new clubhouse will not only help us but Summer it will accommodate not just the senior teams will provide the people of Stone with a new centre for but the growing mini and junior sections too. community life and activities. Jeremy Kite, Leader of Dartford Borough Council said, “I’m delighted to see work begin on our latest investment in community facilities. This will not only be a fantastic new home for Dartford Valley Rugby Club but also a brilliant new hospitality and social space for the Stone community. Like rugby clubs everywhere, Dartford Valley Rugby Club is a welcoming and friendly community and they will make a big difference to Stone. Thinking Retirement... Think Churchill A brand new Churchill apartment is safe and secure, with a Lodge Manager to keep an eye on things. What’s more, you’ll have a sense of community with like-minded neighbours, use of the beautiful garden, and a sociable Owners’ Lounge, so you can enjoy your retirement to the full. KEYES LODGE King Edward Avenue - Open Tues to Sat, 10am to 5pm. *Terms and conditions apply see churchillretirement.co.uk/terms-and-conditions for full details. Fox Estate Agents are thrilled to announce that we have won the Gold Award for from the British Property Awards for the third consecutive year! The team from the British Property Awards mystery shopped every estate agent in Dartford against a set of twenty-five criteria to obtain a balanced overview of their customer service levels. The judging criteria was both comprehensive and detailed exploring different mediums, scenarios and time periods to ensure that agents had been rigorously and fairly judged. According to the judging panel, Fox Estates performed outstandingly throughout the extensive judging period, focusing on our customer service levels. We have also been shortlisted for a number of national awards which will be announced later this year. Fingers crossed! Winning the British Property Award again is a fantastic reward for the whole team, who continue to work tirelessly to make sure that our customers are given a stress-free experience and the highest quality customer service. the Worshipful Mayor of Dartford Cllr David Mote. McQueens, Fairfield Leisure Centre were also receipients of the award but were unable to attend the evening. Kentâ&#x20AC;&#x2122;s employers play a key role in helping people make positive lifestyle changes that could improve their health. By supporting the One You Kent campaign by KCC Public Health in the workplace, they can provide employees with free tools, services, support and encouragement to make a real difference. Employers can reduce absences due to sickness, increase productivity and save money by supporting health initiatives in the workplace. Special Announcement Hi D L Readers! You may have noticed that last month there wasn’t a Bip Bop Blog featured in the magazine. I’ve also been extremely quiet on social media for most of 2019 and after many people have messaged me to ask if I’m still alive, I can confirm everything is A OK! I’m very pleased to announce that we are expecting another little baby due in September. It did come as a bit of a shock to us and was quite unexpected after a very complicated birth last time. The truth is, I never really imagined having another baby and even though I’ve been fighting morning (well, all day and night) sickness for what feels like forever, I’m pleased to finally be able to tell you all. The first trimester has been a huge challenge. As a second time mum trying to look after a 3 year old whilst battling the constant feeling that anything and everything was going to make me vom.com; work had to come to a halt. As much as I wanted to do everything, I had to pull back from socials, events, writing - everything. So even though I wanted a break after a busy Christmas, I wasn’t quite expecting a 3 month one! Apologies to everyone who has wondered where I’ve been hiding! Now Aw Winn ard ing! The good news is, I am finally at a point where I’m regaining some energy and able to get back into more of a routine. It was actually quite liberating to sit down and write this as I start to feel a little more like me. Do follow me on Instagram where I shall start posting more about pregnancy updates and do get in touch if you have any advice on second time motherhood. I’m all ears! ARE YOU THINKING OF SELLING? Instantly find out how much your home is worth! Get your FREE instant online valuation now! friend produces artwork on hers, another produces music. I am truly humbled by this. What a palaver! Everything sorted for this month’s mental wanderings. Just a tweak here and there needed, then the I write; basic Word is fine for me. I can manage Excel and computer goes on strike! No idea why, what was wrong Powerpoint. I would love to be fluent in technology, but or how to fix it. All my work was saved but wouldn’t open. would rarely use such knowledge. If, like me you work from home, it is a disaster. In Real Life I rely on the computer for access to sites for research and investigation. Without it, I am pretty much lost. I can’t complete application forms for grants nor can I see which Trusts are suitable for my causes. With Easter this month, I thought I’d share some of my favourite and quick ideas that use just one egg. Pancakes. I know I’ve missed the official day, but in our house we eat pancakes all year round! In a bowl (or, if you have one, a protein shake bottle with the whisk gadget in) pop one egg, a beaker of plain flour and a beaker of milk. As long as you use the same size beaker/cup for the flour and milk this should work fine! Whisk (or shake) until smooth and adjust with a little extra milk/flour if necessary. Add a dash of vanilla extract or golden syrup for flavour. Add a small knob of butter to a large frying pan and place on a medium heat. When the butter is melted and the pan is hot add the batter so that it just covers the bottom of the pan. Cook for 1-2 minutes until they start to colour underneath, then flip and cook for about 30 seconds on the other side. be interested in the Sarasota Museum of Art, a new contemporary art museum dedicated to global art since 1960s opening in December 2019. In West Palm Beach the Norton Museum of Art recently unveiled a $100 million extension designed by the legendary Norman Foster. New places to stay: The 200 room Baker’s Cay Resort is the first Curio Collection by Hilton property in the Florida Keys. Facilities include a beachside tequila and taco venue, pools with a waterfall grotto and a winding nature trail. soccer, baseball, basketball and ice hockey are all easily watched in Miami. If you are looking to go to Florida, do come and see us in the town centre for a chat. If you are not thinking of Florida, may be you should so do come and see us just the same. Do you need a helping hand? With almost 30 years of experience in caring for people within their own home, and a commitment to using only directly employed carers, we have the expertise to provide the best care possible from 30 minutes to full-time live-in care. With 1 in 5 relationships in the UK starting online, how can you make sure that you have the best possible chance of finding love? Well, take a look at my top tips for women seeking love. 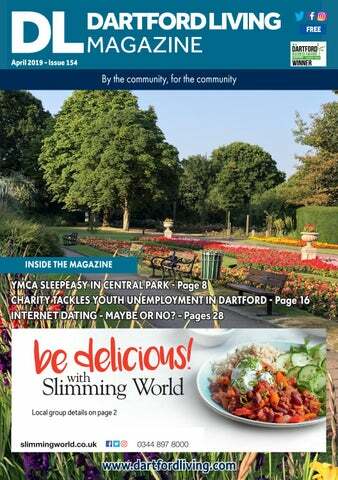 (Men, look out for your top 5 tips in the next edition of Dartford Living!) Live Your Best Life! 1) Make sure that you are ‘living your best life’. How will your potential mate know how you expect to be treated, when you are not treating yourself in this way? Create a profile that shows the places you’ve visited, or you taking part in an interesting hobby. A clear picture with a big smile, as well as full length pictures help your potential mate be sure of what you really look like. Enjoy being in your own company, before inviting someone else to join you. If you don’t enjoy being with you, why would someone else? – make sure your love for yourself and for life comes across in your pictures and profile. Don’t wait for Romeo to be zapped directly to your living room – create the life you desire! Do you struggle with your weight? Let me help YOU achieve YOUR weight-loss goal. •	FREE consultations and complete one to one support from a Dartford based Consultant. No classes to attend! •	Lots of yummy products to choose from •	Plans to suit your lifestyle and your budget •	Let us begin your weight-loss journey, you will be glad you took the first step and started! Are you fed up with constant aches and pains in your body? Do you want to move more freely ? Improve posture and feel more confident ? Do you need help recovering from an injury? Or would you like to improve your sports performance ? OnPointe Pilates is the solutions, contact us today to book your FREE taster session! Weekly group sessions on weekday mornings, evenings and weekends. Private 1:1 and 2:1 session with Pilates equipment. We offer 5- week Pilates beginners course - these are the perfect introduction to Pilates and we currently have them on special offer 5 weeks for the price of only 4! Limited spaces available â&#x20AC;&#x201C; contact us to book your space! 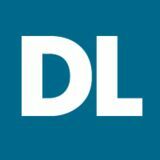 Managed by Places for People Leisure Ltd for Dartford Borough Council. CLAREMONT DECORATIVE SERVICES • ALL TYPES OF INTERNAL AND EXTERNAL DECORATING • AROUND THE HOUSE MAINTENANCE JOBS • FREE ESTIMATES • REFERENCES AVAILABLE • RELIABLE, INEXPENSIVE AND QUALITY WORK BY LOCAL TRADESMEN CAN WE HELP YOU? BOW ARROW GARDENING & LANDSCAPING. Gardening and Landscaping service in the Dartford, South East London, North Kent, Essex area. - Garden Design. - Garden Clearance. - Garden maintenance :all aspects. - Hedge/shrub pruning. - Deweed paths and flower beds - Lawn Maintenance and cutting. Free quotations Contact- Andy Davidson. Mobile 07815 118887 Email â&#x20AC;&#x201C; andy_davidson_1@ yahoo.co.uk A Friendly, reliable and quality service. Bespoke quotations on request. Volunteer with us Girlguiding is the leading charity for girls and young women aged 5-18 in the UK. There are lots of fexible ways to volunteer so no matter how much time you have you can #InspireGirls too. As the only gay, Aspergic, quarter-Welsh comic on the British comedy circuit, Britain’s Got Talent has helped to highlight Robert’s distinctive comedy genius. Known for his brilliant timing and anarchic performance style, Robert’s chaotic stage presence, improvisational skills and delivery saw him win the Malcolm Hardee Award for Comic Originality. A regular at the Edinburgh Festival Fringe since 2010, his shows regularly impress critics and audiences alike, winning the hearts of the British public. His hilarious routines have also received over 6 million views on YouTube winning him legions of fans across the UK and beyond. To book tickets visit orchardtheatre.co.uk | Ticket Office: 01322 220000 We have teamed up with the Orchard Theatre to offer 2 tickets to the show. You just need to answer this question: Who presents Britain’s Got Talent? Christchurch Preschool Dartford A setting where children learn through play in a happy safe caring environment. Wehave have aa Vacancy Vacancy for We foranan Early Years Practitioner Early Years Practitioner To join our ‘Outstanding’ team in Dartford. To join our ‘Outstanding’ team in You will need to have experience and an Dartford. understanding of the EYFS. Have an enhanced DBS check. www.christchurchpreschooldartford.com *t&c’s apply- Excludes delivery charge. Offer ends 15th April 2019. Flowers must be ordered in advance and not chosen on the day. BAV’S SPORTING COMMENT Zidane left Real Madrid last season after winning three Champions Leagues in a row and a league title, and now returns to a club in disarray - a club with nothing left to play for this season other than qualification into next season’s premier European competition... and pride. Just 10 months he told Real Madrid “I would stay but as you don’t want to follow my lead, I better go”. It will very probably be good news for Eden Hazard and, 28: Athletics - London Marathon if so, very bad news for Chelsea. Hazard has made no secret of his desire to join Los Blancos as well as play 30: Football - Champions League semi-finals, first leg under Zidane. So, Easter is coming and the shops have already been pushing the chocolate on you for the last 2 months! Temptation is everywhere and you’re trying to be good and stick to your diet, but it’s getting tougher to comply. What can you do? your weight. Aim for minimal consumption, accounted for in your calorie count. As an Architect I am interested in the local context of our towns, villages and cities and how these places have developed over time. Having come across some wonderful old postcards and images of our local towns and parishes on a Facebook page I thought it would be really interesting to take a photograph from exactly the same viewpoint but from our current time in history in relation to the original images from around the early 1900s. The original postcards and images are courtesy of Brian Porter. Rock Painting in Dartford. Local people from Dartford Painted Rocks on Facebook have been busy this month painting and hiding them around town. The rocks can also be exchanged at Stephen Oliver: Studio and Gallery located in the Orchard Shopping Centre. DARTFORD PAINTED ROCKS By Maria Kingsford Here are some great photos of their painted rocks. Local people from â&#x20AC;&#x2DC;Dartford painted rocksâ&#x20AC;&#x2122; on Facebook have been busy this month painting and hiding them around the town. The rocks can be exchanged at Stephen Oliver: Studio and Gallery located at the Orchard Shopping Centre. Here are some of the photos of their painted rocks. As always, it’s been a busy month for Dartford theatre lovers. March was the month of the Calendar Girls - Gary Barlow and Tim Firth’s heartwarming British musical moved in for an unusually long run of two weeks at the Orchard, and had audiences in stitches (and tears) every night. We welcomed back the daredevils from Cirque Berserk, and younger theatregoers enjoyed the brilliant Room on the Broom from Julia Donaldson and Axel Scheffler. And of course, there was the usual packed programme of comedy, music and much more. very own DAODS will no doubt be a huge hit. Get ready for an evening of fantastic musical favourites, like Food Glorious Food, Oom Pah Pah, I’d Do Anything, As Long As He Needs Me and many more. I can’t wait for this one. In this month’s article we feature new and upgraded infotainment system. It has a new grille and LED lighting models in 2019 to 2021 taking advantage of the growing at the front and rear and new paint colours for buyers to SUV market, some with electric engine options. choose from. The sole engine is a new 2.0-litre petrol, available with either a five-speed manual or six-speed CVT automatic gearbox. Amongst the new features on the infotainment is the ability to play videos from a USB memory stick when the vehicle is stopped. Range-topping versions also get sat-nav with real-time traffic data. Prices have not been annouced but not expected to be different to the current from around £20,000. It will be available to purchase in the summer of 2019. 2020 Cupra Formentor SUV – Cupra spun off from Seat in the last year and launched as a standalone brand, this is its bespoke model, the Cupra Formentor. The Formentor combines SUV and coupé styling, making it a potential rival to the BMW X4 and Mercedes GLC Coupé. However, it’s also a plug-in hybrid, with a combined output of 242bhp from its petrol engine and electric motor and an electriconly driving range of just over 30 miles. The new SUV takes its name from a peninsula on Majorca, with Cupra following parent firm Seat’s convention of naming cars after Spanish geographical features. The Formentor is officially just a concept at the moment (it made its public debut at the 2019 Geneva motor show), but a production version will go on sale in 2020. Time to sort out your debt? As we’re now in the fourth month of the year (where did the time go?!) it’s a good time to reflect on the New Year’s resolutions we made all the way back in January. How long did yours last? Maybe you’re still going – well done! If not, don’t worry – there’s always time to give it another try. This includes getting your financial situation into shape. At Christians Against Poverty (CAP), we know that being in debt can feel like a prison sentence, but we also know that there’s always a way out. to view the large collection of local images, or bring your own for us to copy. As the club continues to grow new members are always welcome. The club meets on Wednesday evenings from around 7.00pm until around 9.30pm at our new clubrooms in Invicta House (aka Belvedere Workingmen’s Club), 66 Gilbert Road, Belvedere DA17 5DA. Wednesdays 7pm – 9pm St Edmund’s Living Well Centre, St Edmund’s Road, Dartford, DA1 5ND The DARTFORD’s BIG Sing community choir is open to anyone and everyone! Come along when you can and sing with us! Each rehearsal is just £7 and there are NO sign up or long term financial commitments! Just your enthusiasm! Come along any week to sign up as a member! You don’t need to read music, be able to sing solo’s or even have any experience of singing! However, if you have singing experience we encourage people to try solo’s if they want to! We sing pop, soul, gospel, RnB, Motown and inspirational songs to uplift and energise your week! Great way to meet new friends in your community! We often perform in and around the community with various events throughout the year! The choir is open to ALL ages (from 12yrs) LEARN KARATE and ALL abilities in and around the comLearn karate with Yamato Damashii – munity of Dartford - however if you are not from the area, you are welcome too!! for adults & children Every Wednesday evening at the Leigh Academy & every Saturday morning at www.big-sing.com Becket Sport Centre, first lesson free. twitter.com/BIGSing1 For more info, visit www.ydma.club or www.facebook.com/theBIGsing/ find us on Facebook, search for Yamato Damashii Martial Arts. We are a friendly group of adults who meet for a social swim every Thursday at 9pm. We’re looking for new members. Why not give us a try? Contact Diane on 01689 871846 or join us one Thursday. Mondays 7-8pm for 7-16s at the Dartford Girls Grammar, Shepherds Lane Dartford DA1 2NT in the Dance Studio. We have an adult class 8-10pm too. We’ve been running for 20 years, building confidence, teaching self-defence, hardening the target, developing skills and always welcome new members. D A R T FO R D A N D W H I T E O A K TRIATHLON CLUB We are the local British Triathlon Federation Club covering Bexley, Dartford and Swanley. We offer coached swimming sessions 3 times per week at White oak pool in Swanley and Fairfield pool in Dartford. Our members compete in THE HIGHLY STRUNG BADMINTON many local Triathlons plus many members CLUB, are training towards Iron Man distance. Friendly club seeking new members. We also have our own Triathlon in June Abilities mixed. every year which has been running since Would suit players with some prior 1989. If you are interested in joining us experience. then please visit our website Thursdays at 7.45-9.45pm, Dartford Girls’ http://www.dartfordandwhiteoaktri.co.uk A fun (different) circuit based workout with space hoppers that challenges core stabilty, balance and strength. It is suitable for all levels and abilities. Classes are held every Wednesday evening at the stone pavilion starting at 8:15 until 9:00 costing £5 per person. DARTFORD PARKRUN Dartford parkrun is a free to enter 5k run every Saturday morning starting by the Dartford harriers track in Central Park at 9am. All participants get a time a position emailed and texted after the event. To register go to www.parkrun.org.uk. Remember to bring your printed Barcode. Every Sunday Morning in the Park there is a Junior parkrun over 2k – registration is the same. DARTFORD HARRIERS ATHLETICS CLUB Dartford Harriers is among the leading athletics clubs in Kent, with a history stretching back to the 1920′s, making it one of the oldest clubs in the country. If you are interested in seeing how we can help you advance your Athletics then please visit our website http://www.dartfordharriersac.co.uk FOOTSCRAY MEADOW PARKRUN Entries are now open for the 2019 A new Parkrun event with parking at Dartford Half marathon at the website Crazy Barn – The event will be on 3rd march 2019 DARTFORD HEATH PARKRUN Dartford’s 2nd parkrun event is now live. The run starts behind the Heath Lane car park and is a free 5k run every Saturday morning at 9am. Parking is restricted in the area so please do not park in Heathclose Road and wherever possible please walk. also available. For no extra charge, we hold coached track sessions on Wednesday evenings for runners of all abilities. Every Tuesday from 6-7pm &Thursday from 10.30am to 12.00pm at Peppercorns, 3 Orchard Street, Dartford, Kent, DA1 2DF. For more information please call The Hope Group on 07580 615206. Dartford Living does not certify, endorse or verify the contents of any communication within the magazine/our online presence or make warranty of any kind, express or implied, with regard to the information contained therein. Dartford Living and its owners cannot be held responsible for any errors, omissions or claims made by advertisers or endorse companies, products or services that appear in any Dartford Living publication or media outlet. Dartford Living is not responsible for the content of external internet sites.